The loss of a loved one is a scar that lingers long after the ceremony. it hinders bereaved ones from embracing pain and come to terms. drenched with spiritual, symbolic and awe-ful ambiance.
" Whether in the cemetery or in the private garden, the monument should not be the sumptuous and arrogant mausoleum of the wealthy as under the ancient regime but rather a humble memorial doubly expressive of republican simplicity and heartfelt tenderness "
As the world grows, burial spaces shrink. Countries stated above are in most extreme case.
" 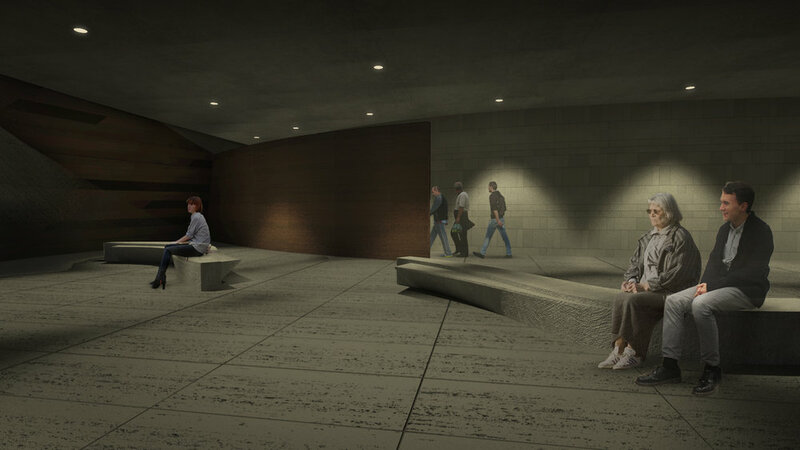 … we have cemeteries of over 100 acres in London, but the way we use the space is NOT SUSTAINABLE … "
" … there is a looming problem in many parts of the world over what to do with dead bodies, as pressure on BURIAL SPACE INTENSIFIES … "
" ... Burial is becoming more and more of a NICHE PRODUCT or market ... The burial issue is not just about economics … "
The chart below shows the cremation and interment rate from past, current and future in different areas. Every day, every hour, every second.. people comes and goes. Birth is the most beautiful and miraculous mystery. Yet, death is the most fearful and unsettling mystery. It is definitely great sorrow to lose a loved one. that brings strangers all together, share the emotion. It is the place where we all gather, and cope together. 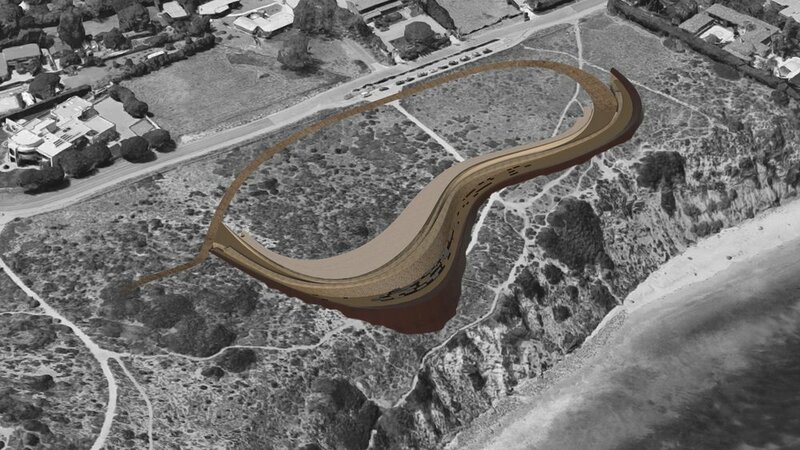 Archium is located at Point Dume State Beach, Malibu, California. Point Dume has incredible scenery along with nature, and it is never too far nor too close to the city. ARCHIUM : ARRIVAL is right off of PCH & Kanan Dume road, giving easier access to the public. Itconsists of parking, chapel, crematorium, and sub programs along with a flower shop. ARCHIUM : COLUMBARIUM is 5 minute drive, 30 minute walk from ARRIVAL location. It is closer to the coast, and this is the main area for storing the ash library and revisiting. Ash Cube is the mixture compound of cremation ash and concrete. until they get picked up, as if they are telling us that they've been waiting. Once the cube is out of the shelves, it will stay on. 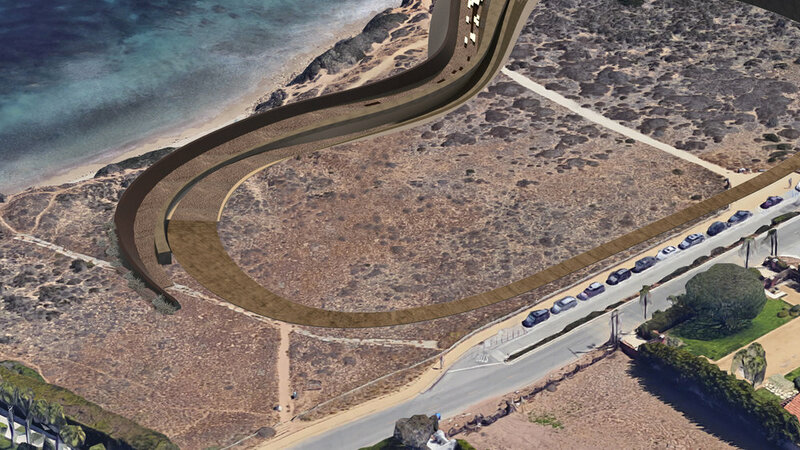 welcoming the revisits, and guiding path through Point Dume.